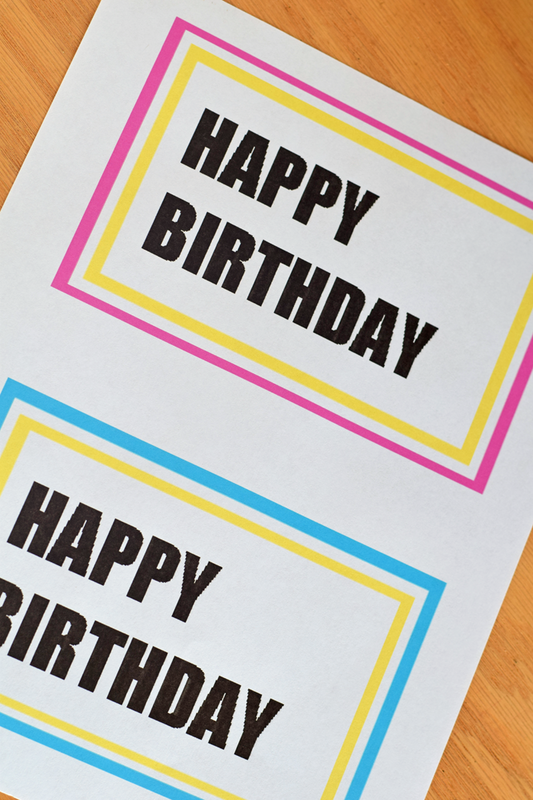 Does your child lament the fact that they have to go to school on their birthday? Poor, poor, little ones, right? Whenever my daughter complains about going to school on her birthday, I just remind her that it is good practice for when she is older and has to go to WORK on her birthday. 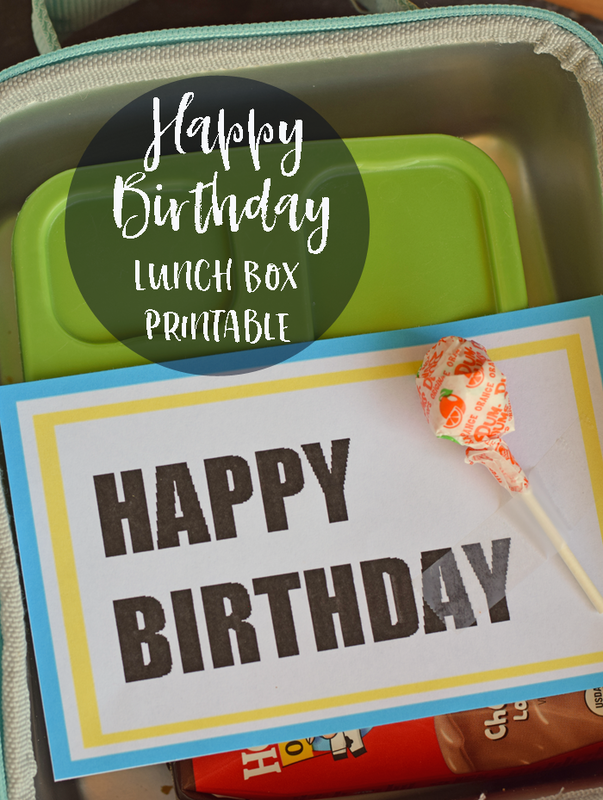 For the last series in the lunch box note week, I’m sharing this Happy Birthday Lunch Box note. 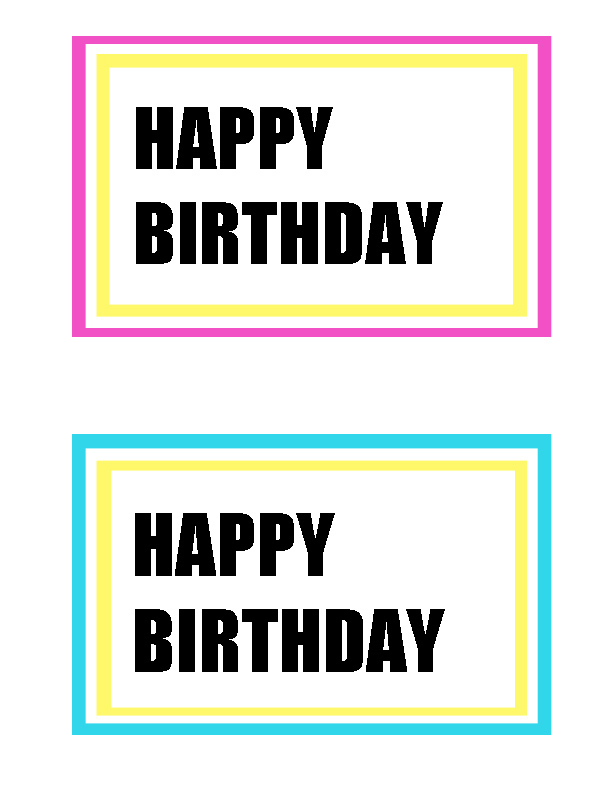 The note comes in two colors, and it is off set to the left on purpose. 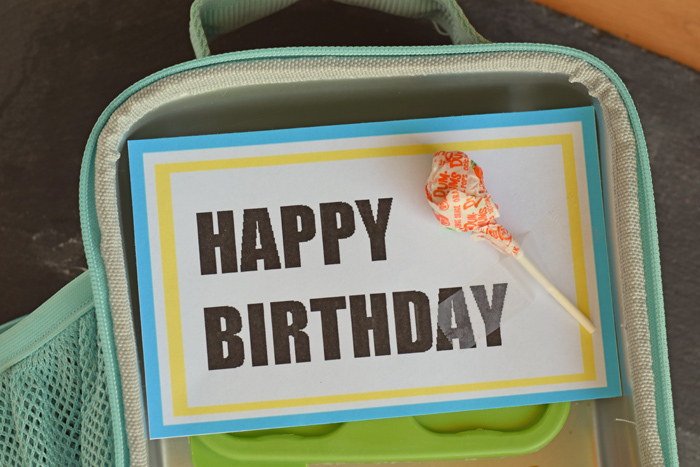 Tape a lollipop or small balloon or other special treat to the note before adding it to the lunch box. To get the printable, right click on the image below to save it to your computer. Then use your printer software to print it out. Use scissors or a (aff link) Cricut paper trimmer (I have this one and love it!) to cut out the lunch box note.